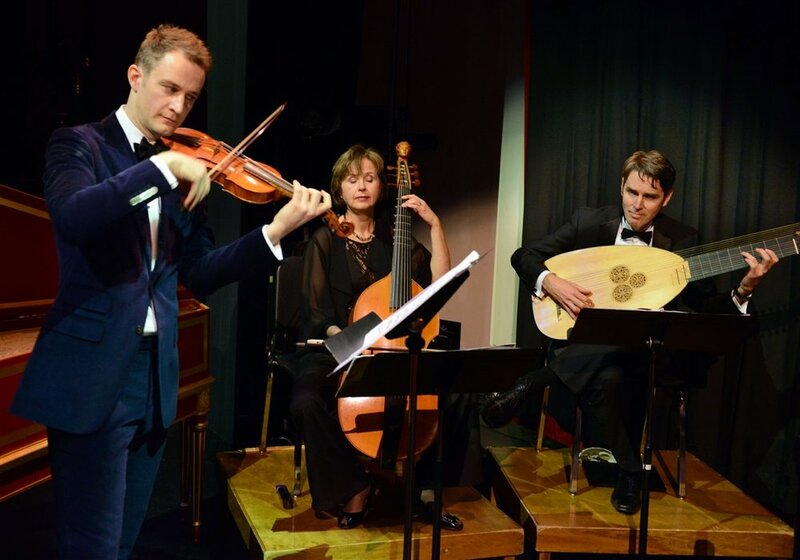 Chatham Baroque took us on “A Musical Journey across Continental Europe” on Friday, September 29, as Pittsburgh’s Festival of Friendship got off to a lovely start. The group’s violinist, Andrew Fouts, explained that the selections for the night were pulled from several important countries of the baroque era, to give a sense of diversity in the music. The concert included pieces ranging from “Sonata Arpeggiata” by Italian composer Giovanni Girolamo Kapsberger, to “Toccata in G minor” by Portuguese Carlos Seixas. The energy in the room was tangible as each member put themselves into their performance, their bodies moving enthusiastically with their instruments, just as pleasant to watch as to listen to. Each performer built off of the others’ liveliness, passing smiles back and forth during particularly fun pieces. In between sets, the musicians introduced themselves and their instruments, explaining what the uniquely-shaped theorbo is (an instrument of the lute family), and giving anecdotes about the composers they played from (did you know Johann Heinrich Schmelzer wrote music for horses to dance to?). The ensemble ended the night to a standing ovation from a thoroughly pleased audience. Chatham Baroque is a Pittsburgh-based group that has been playing and performing baroque music all over the country for 27 years. They have produced ten CDs, and another is in the making! You can listen to their music, and learn more about them, at chathambaroque.org. The concert was a free event put on by Revolution of Tenderness as part of their annual Festival of Friendship. The Festival includes presentations on various topics of the Arts as well as current social issues. The weekend is open to all, and music lovers are welcome to come to Synod Hall on Saturday, September 30, at 7:30 pm for a traditional Appalachian music performance.